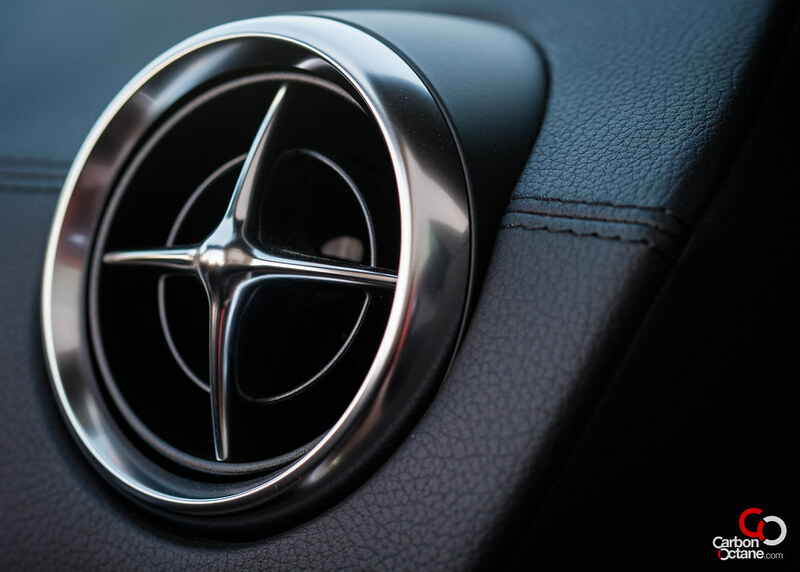 The iconic “Grand Tourer” from Mercedes Benz has etched into my mind since, as a kid, I started watching the re-runs of a TV Show called “Hart to Hart”. Robert Wagner drove a yellow Mercedes Benz SL while solving many murder mysteries as an amateur detective, well pretty much like Magnum PI ‘s Tom Selleck who used a Ferrari. It did not end there. I had posters of the SL on my bedroom walls alongside the Countach’s and a 1:18 scale model of a maroon fourth generation SL500. 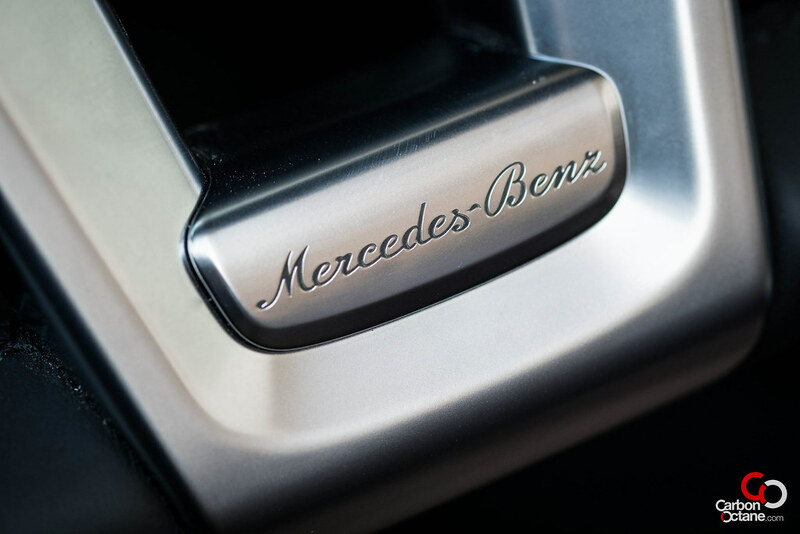 Imagine my state of mind when Mercedes Benz called me up to try out their 2013 Mercedes Benz SL500. 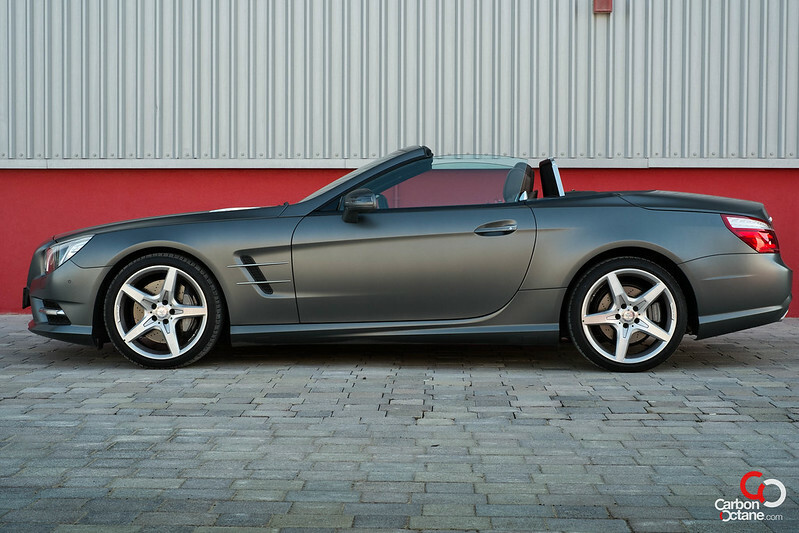 Our tester came in “Cerrusite Grey Mettalic”, a matt paint which enhanced the body contours of the 2013 Mercedes Benz SL500. It’s hard to describe the matt finish which was much like the paint treatment we had on the BMW Gran Coupe : but it was love at first sight. I for one cannot put in words and thus leave it to all of you to get the gist of it from the pictures in this article. 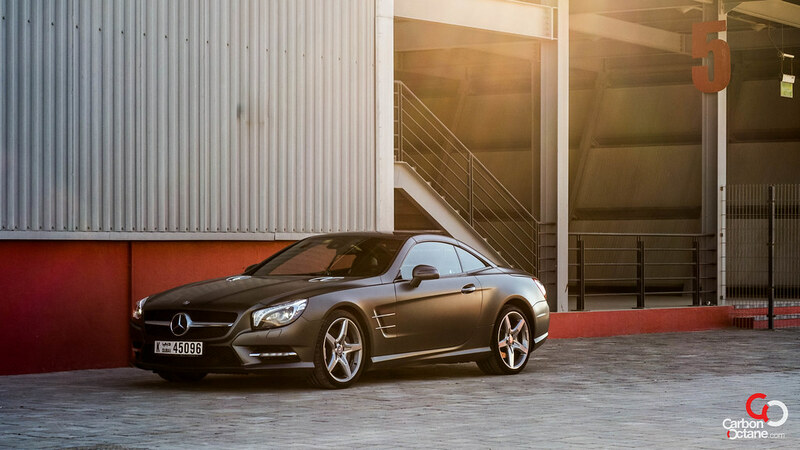 The 2013 Mercedes Benz SL (Sport Lightweight) has been redesigned in its sixth generation itineration. 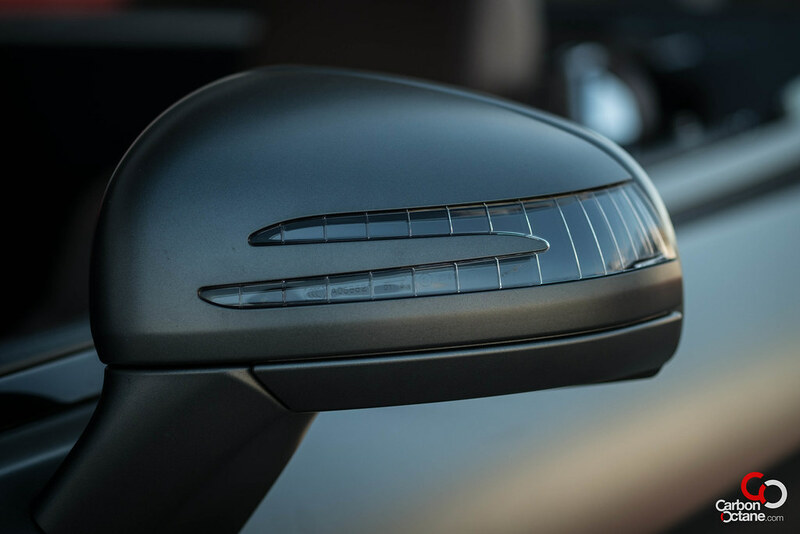 It has come out lighter, nimbler and more luxurious than every before. 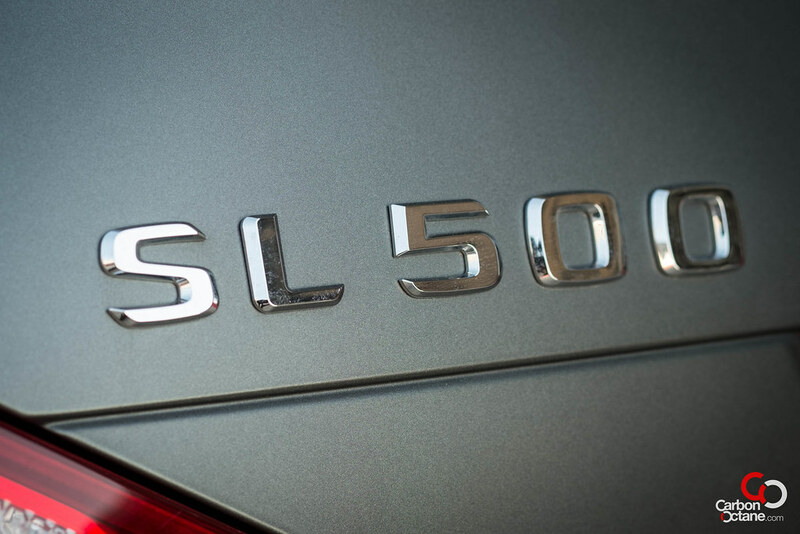 The 2013 SL500 weighs 125kgs less than the fifth generation SL500, thanks to its all aluminum body as opposed to previous generation’s steel body. 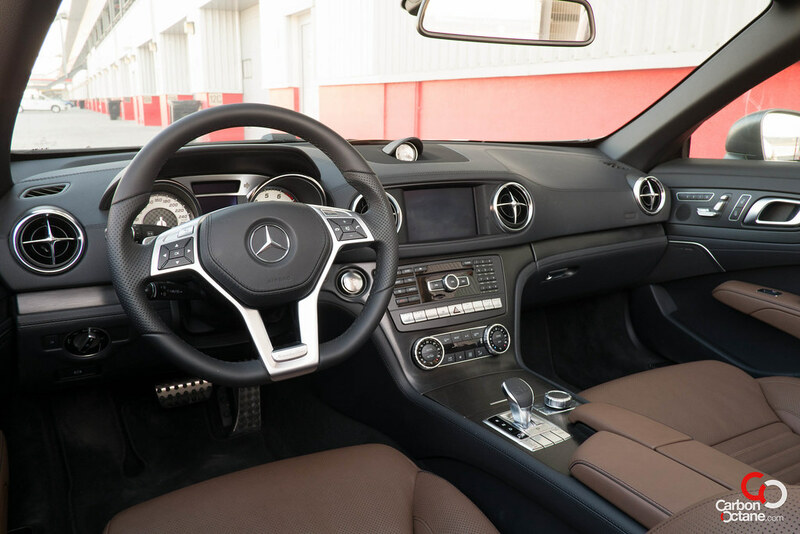 The interior is retro inspired and looks similar to the SLS’s and SLK’s. 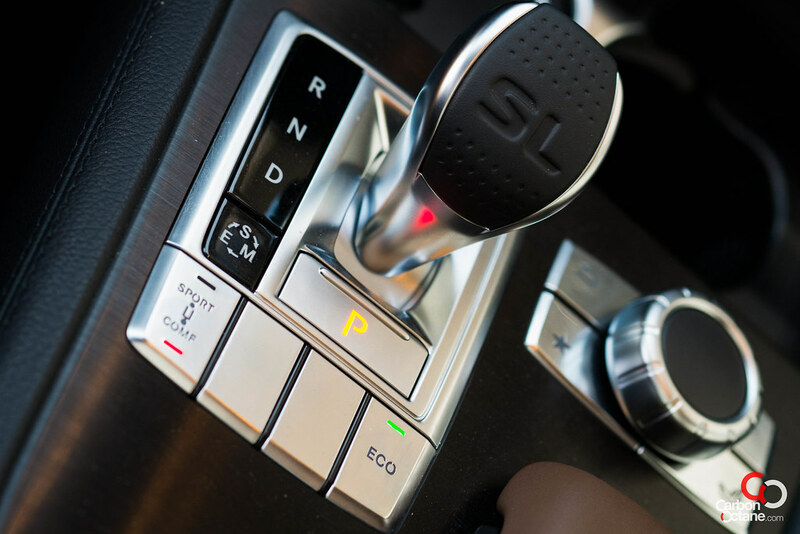 The gear shifter is the smallest we have tested and only has Reverse, Neutral and Drive. The “Park” option is a separate button located below the lever. It’s an acquired taste but we have to look at the SL in its entirety to justify it. 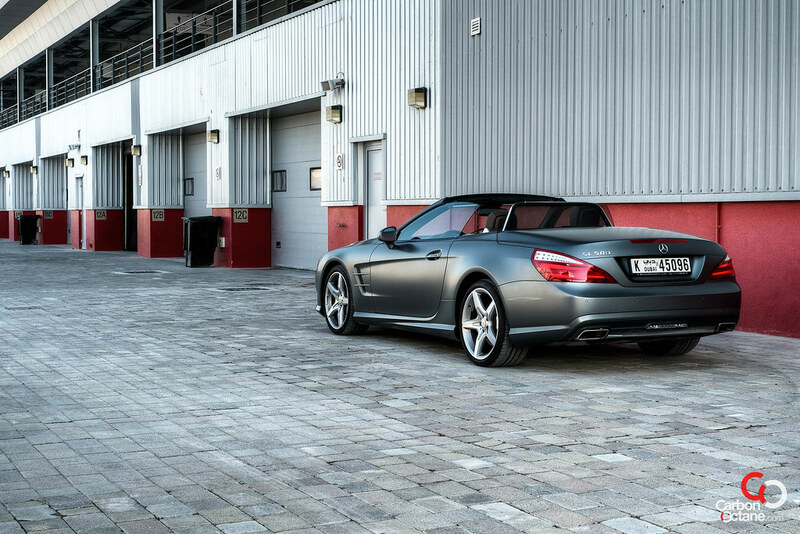 The Mercedes Benz SL500 is a statement. It’s allure and status is unrivaled. 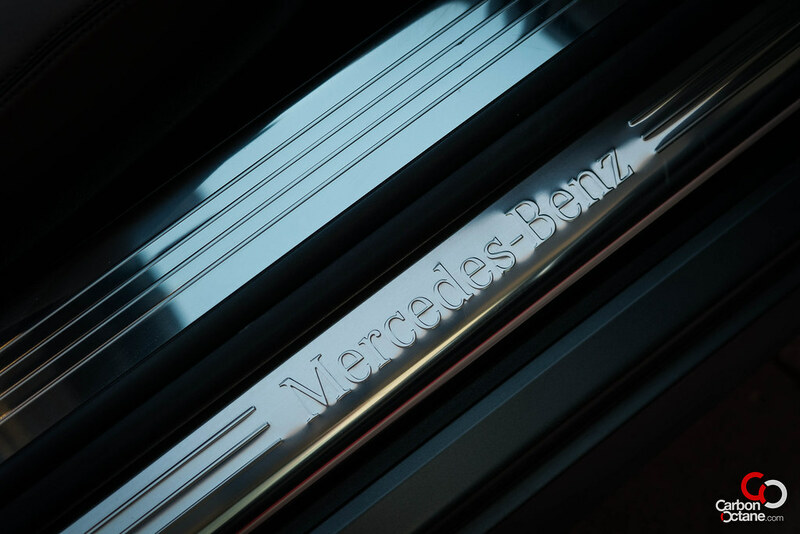 If you can imagine the sophisticated persona of Pierce Brosnan with a hint of rebellion then the Mercedes Benz SL500 is an automotive equivalent. 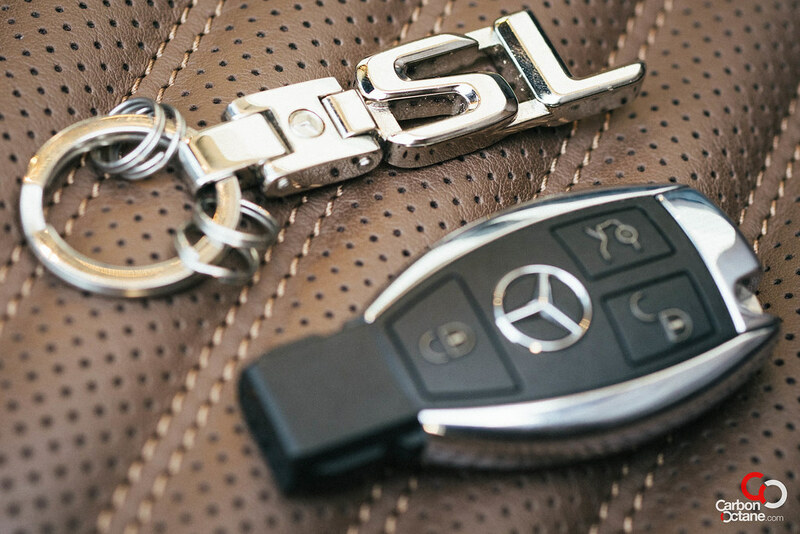 Everything inside the SL is made with a purpose. It does not feel cramped, thanks to an increase in its shoulder and elbow room. 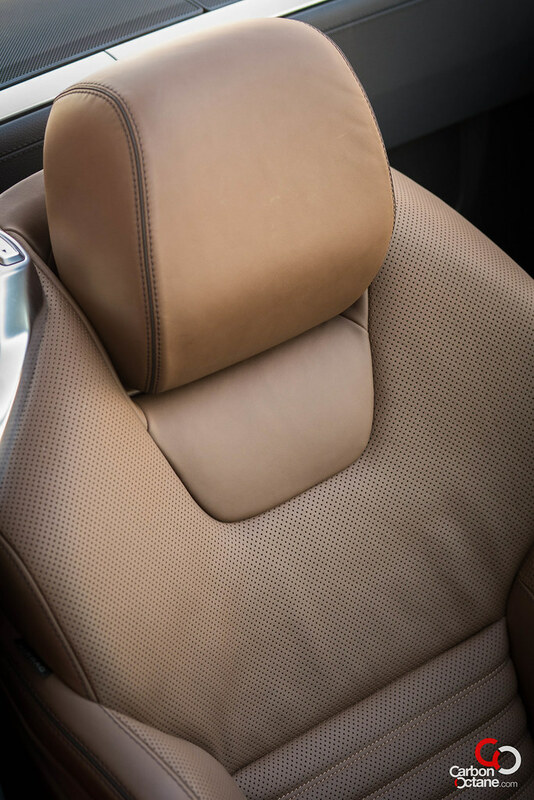 The steering is draped with soft leather and the seats have active supports which gently squeezes its occupants during turns. As luck would have it, we got the SL during a more favorable time of the year, temperature wise. Most of the test was done with the hard top folded down. With the caged-in feel of our normal jobs spent in cubicles, the infinite headroom and the cool breeze naturally brings a sense of serenity in the drive. Yes one can feel the same in other convertibles, but in the SL it’s different and somewhat special. 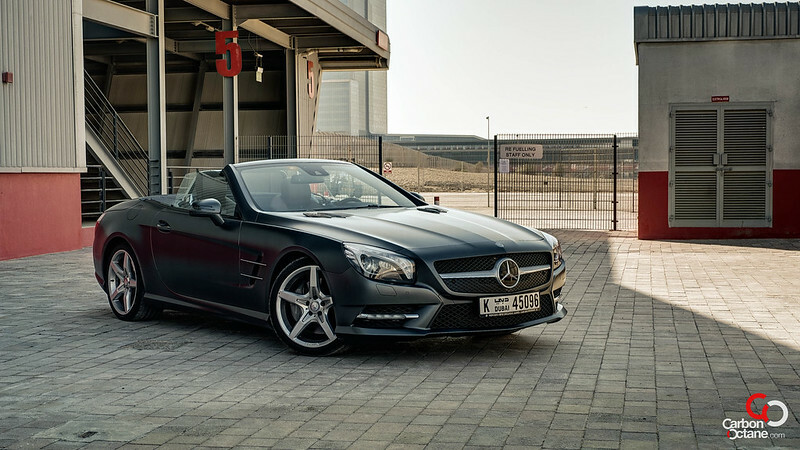 The 2013 Mercedes Benz SL500 is powered by a twin turbo V8 and sprints to 100kmph at a spirited 4.6secs. 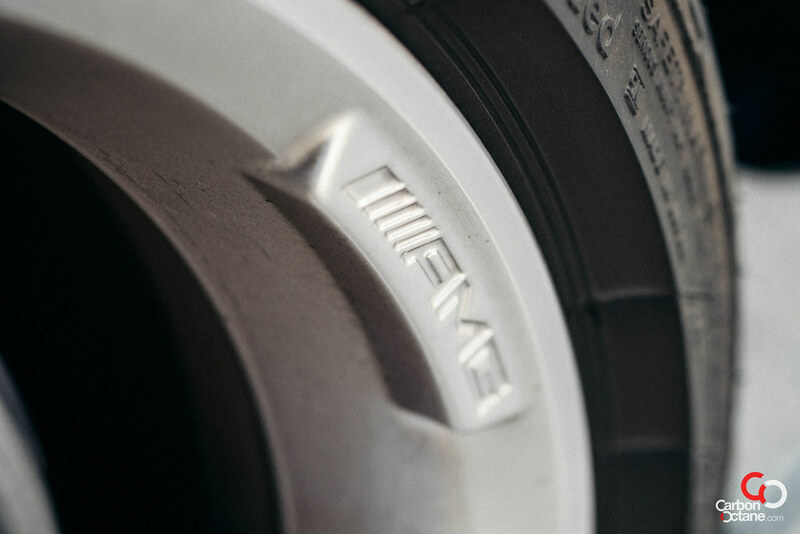 There is also 516lb-ft of torque which makes it all effortless. 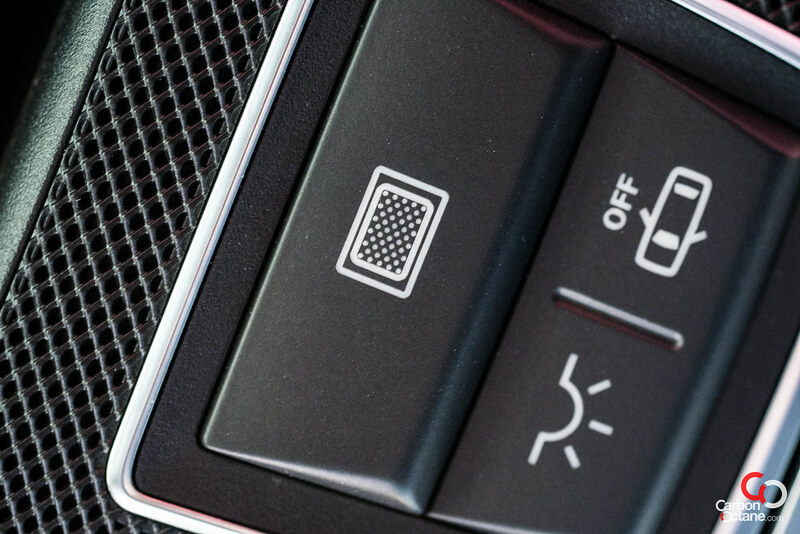 The V8 gurgle from the exhaust is intoxicating and can be felt and heard both with the roof up and down. It sounds like an American muscle car. 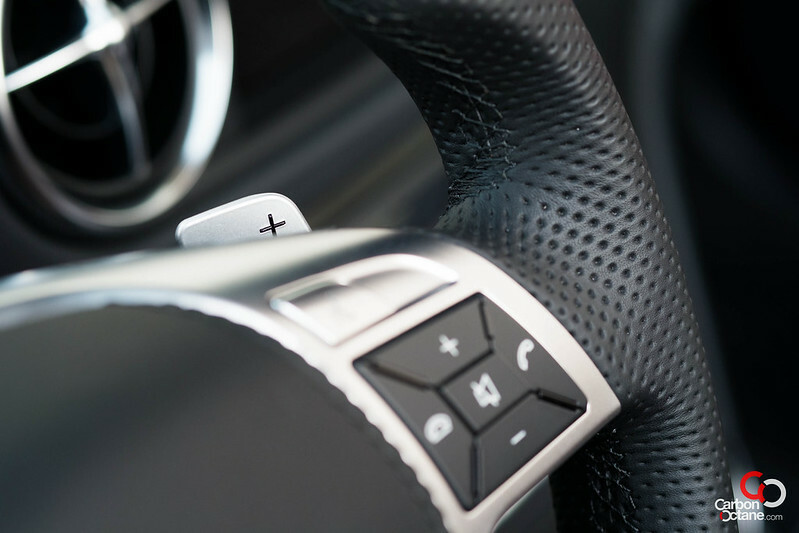 Each time the accelerator is pressed everything around us becomes a distant memory. We had to take it to interchange number 2 on SZ Road where there is a sharp negative camber. The SL500 sticks!!! It’s comfortable and hugs the ground with ferocity. We did not feel any twitching of the chassis around any of the bends we took with the roof down. It’s solid down to its endo-skeleton. 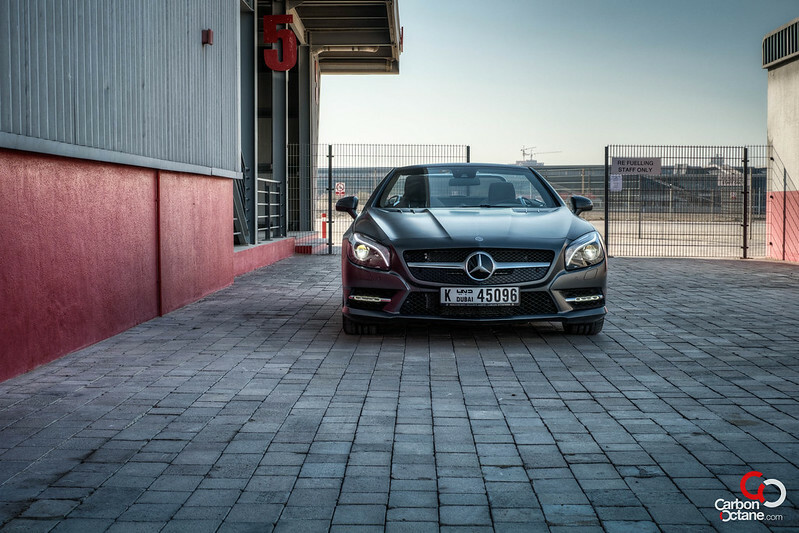 Driving the SL500 during the rush hour and around the outskirts of Dubai felt relaxed. This Roadster does it all for two. 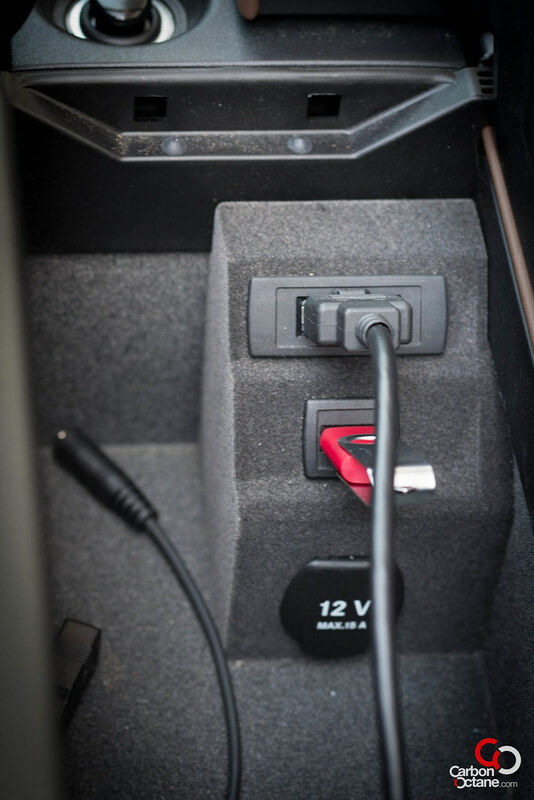 It’s a great everyday car even for those who have a couple more cars in their garage. There is not much trunk space once the roof is down but enough to carry a few grocery bags. The brakes felt mushy but that did not deter the SL500 from stopping hard under emergency situations. Unfortunately we only had the car for a few days. It’s a car that grows on one slowly. One would always find more things about it to appreciate day by day. 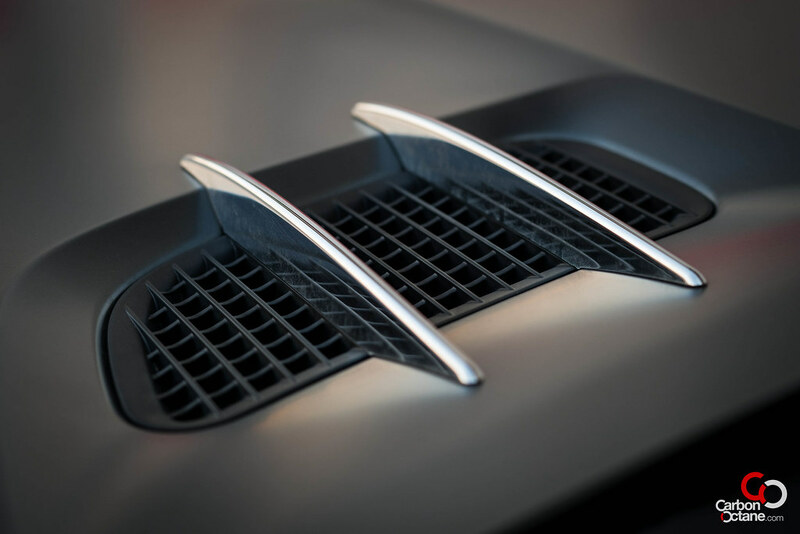 It is a piece of engineering marvel that defies age. 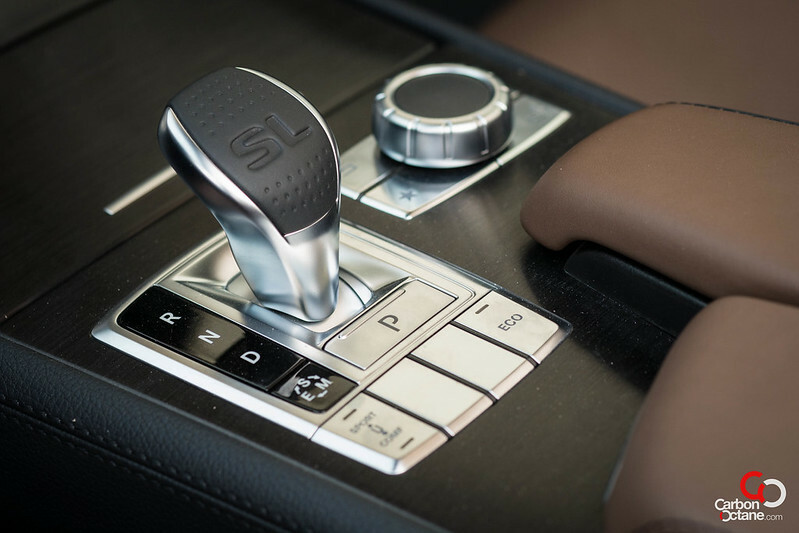 The power and acceleration of the SL500 is more than enough for any situations but I wonder why would Mercedes take it further and have the SL63 and the SL65 AMG’s as well. But then again why not! We all love to punish the rear tires once in a while. The 2013 Mercedes Benz SL500 is a perfect experience for those who have acquired the finer taste of life and being a rear wheel drive it also instigates the heart rate to beat faster. 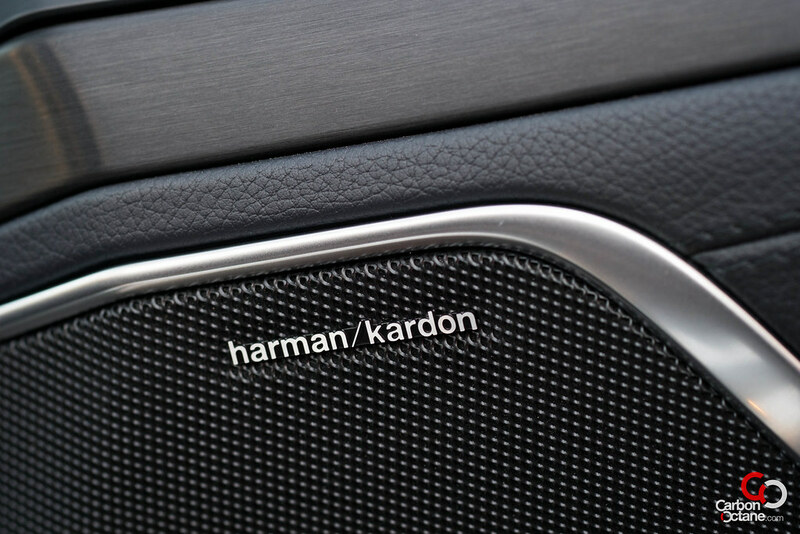 ** Some of the Optional Extras are : Cerussite Grey Metallic shape (AED 5,300), Nut Brown Nappa Leather (AED 3,005), Driving Assistance Package Plus (AED 9,950), Panoramic VARIO Roof with MAGIC SKY Control (AED 11,050), Harman Kardon (AED 4,860), AMG Sports Package (AED 25,870) & KEYLESS GO Comfort Package (AED 6,785) – Please note that these prices are all a close approximate to the actual retail prices.